Betty, how long have you been a designer? Could you tell us a bit about your womenswear label, Betty Bonhard? I finished my MA Fashion degree in Edinburgh in 2010 and in Prague in 2011. After that, I moved to London and did an internship with Christopher Kane in 2011, then set up my label Betty Bonhard in 2012. Betty Bonhard is a womenswear label with a playful yet edgy style. Every collection has its own digitally printed materials designed by myself. The range is mainly dresses, skirts, tops and leggings in limited editions. Betty Bonhard is also designed and made in EU, partly from organic fabrics as well. Why did you decide to begin designing childrenswear? When, where and how was BBbambino founded? During the 3 years of running Betty Bonhard, I’ve been asked many times to design for children by my clients and friends. It’s probably because my style is very decorative and playful, and the textile design I create is so suitable for childrenswear. I guess I had to become a mother to finally start working in childrenswear, and luckily it brings me huge pleasure and joy. My first ideas came in summer 2014, chatting with my friends in countryside and surrounded by our children running around. In October 2014 we started working properly on the brand identity, searching the gaps inthe market and looking for the best organic fabrics suppliers. After endless debates with my husband Phil about the brand name and philosophy, we decided to direct the company together. Our ultimate goal was to fund the first collection on Kickstarter. After a 4 months of gruelling work, we launched our BBbambino kickstarter campaign in March 2015. With the great support of our backers, we were funded one month later - which allowed us to manufacture the first Corgi collection and be part of Bubble in July. Could you tell us a bit about the brand's philosophy? 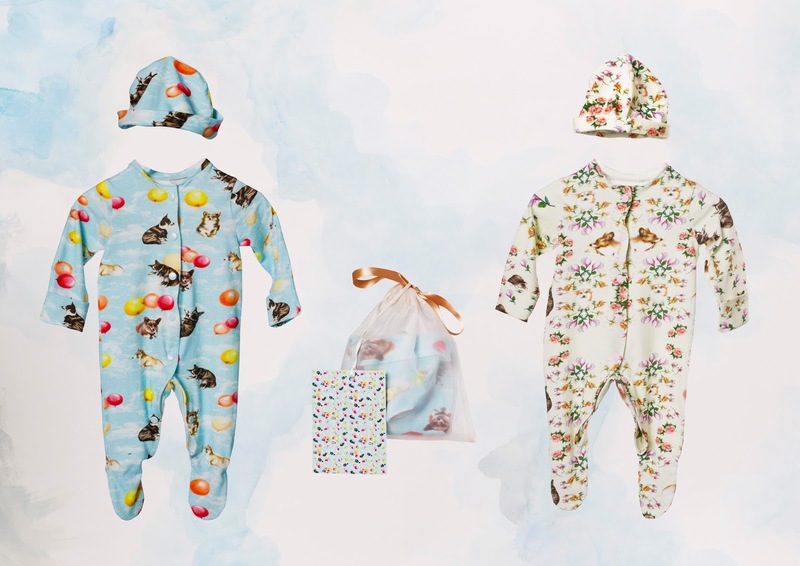 After months of childrenswear market research I was sure about one thing: I want to design ethical, environmentally friendly fashion in the EU. As a designer with a fine arts background I am very passionate about drawing my own fabric designs. The result is hand drawn, digitally printed clothing on GOTS certified organic cotton, which feels great and gentle on children’s skin. 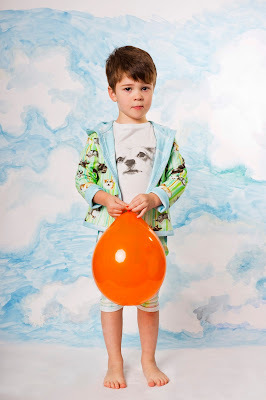 BBbambino clothing is designed to be a special, artistic piece in a child’s wardrobe, which lasts for a long time. 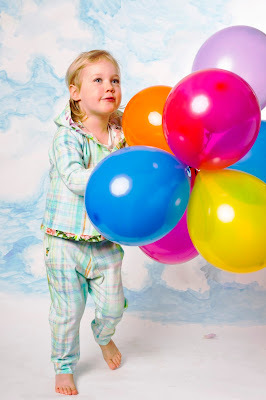 We will also introduce GOTS certified cotton BBbambino basics at Bubble. 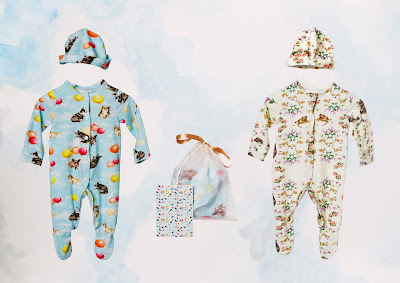 This range of simple, more affordable garments, which could be combined with printed pieces and makes a stylish and comfortable wardrobe for your children. Your prints are all hand-drawn - could you tell us more about your creative process? What inspired your debut collection? 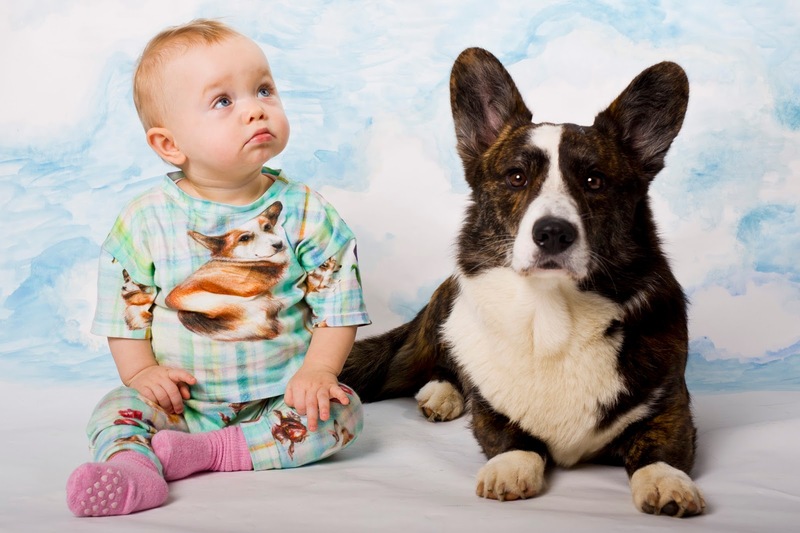 BBbambino’s first collection is about Corgis. The main character is Ollie, our own Cardigan Corgi, who’s almost 3years old. We’ve had many adventures with him and his corgi friends from our neighbourhood. I named the garments after some of them! My colleague and I hand draw each Corgi, flower, stripe or balloon and I create the patterns from the drawings in Photoshop. I am very excited about the next project - the only thing I can reveal now is that it will be a new story full of beautiful creatures and happenings. If you could give one piece of advice to designers thinking of starting a childrenswear label, what would it be? Don’t copy anyone. Find your one speciality and concentrate on that. Be yourself. How are you preparing for Bubble London? Everything is about Bubble right now! We are going to manufacture the Kickstarter rewards and show samples in June. We are working on marketing and extending our list of important buyers, boutiques and magazines to contact and invite to Bubble. We can't wait to meet you, Betty!